Lenovo - 4X10A06085 - The ThinkPad OneLink Dock (Midnight Black) - 2x USB 3.0, 2x USB 2.0, HDMI, Gigabit Ethernet - 91x38x135 mm, 290Gr. Lenovo - 4X10E52943 - LENOVO ThinkPad OneLink-Pro Dock Black - The ThinkPad OneLink Pro Dock, powered by Lenovo’s revolutionary OneLink technology transforms your new ThinkPad into a full-featured machine for the office or at home. Lenovo - 20KN0061IV - ThinkPad E480 - 14 Inch FUllHD IPS - I5-8250U Kaby Lake Refresh - 8GB DDR4 - 256GB SSD M.2 PCIe NVMe Opal2 - Intel UHD 620 - DOS - FPR - 1 Year PickUp Warranty - 1.75Kg. 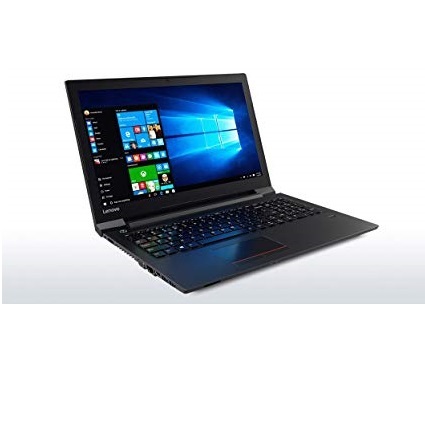 Lenovo - 20GJ001HIV - LENOVO Thinkpad 13 i3-6100U Skylake - 13.3 Inch - 192GB SSD - 4GB DDR4 (Up to 16 GB DDR4, 2133 MHz, 2 DIMM Slots) - Windows10 Pro - 1 Year PickUp Warranty - 1.4Kg. Lenovo - 20KN0061IV-3Y - ThinkPad E480 - 14 Inch FUllHD IPS - I5-8250U Kaby Lake Refresh - 8GB DDR4 - 256GB SSD M.2 PCIe NVMe Opal2 - Intel UHD 620 - DOS - FPR - 3 Years OnSite Warranty - 1.75Kg. Lenovo - 20KN001QIV - ThinkPad E480 - 14 Inch FUllHD IPS - I5-8250U Kaby Lake Refresh - 8GB DDR4 - 256GB SSD M.2 PCIe NVMe Opal2 - Intel UHD 620 - Windows10 Pro - FPR - 1 Year PickUp Warranty - 1.75Kg. Lenovo - 20M50013IV - ThinkPad L380 - 13.3 Inch FullHD IPS - i5-8250U Kaby Lake Refresh - 8GB DDR4 - 256GB SSD PCIe NVMe - Intel UHD 620 - FPR - LKB - Windows10 Pro - 3 Years OnSite Warranty - 1.56Kg. Lenovo - 20KN004VIV - ThinkPad E480 - 14 Inch FUllHD IPS - I7-8550U Kaby Lake Refresh - 16GB DDR4 - 1TB HDD 5400RPM + 256GB SSD M.2 PCIe NVMe Opal2 - Radeon RX 550 2GB - DOS - 1 Year PickUp Warranty - Silver - 1.75Kg. Lenovo - 20LS0015IV - ThinkPad L480 - 14 Inch FullHD IPS - i5-8250U Kaby Lake Refresh - 8GB DDR4 - 500GB HDD 7200rpm - Intel UHD 620 - Windows10 Pro - 1 Year PickUp Warranty - 1.46Kg. Lenovo - 20LS001AIV - ThinkPad L480 - 14 Inch FullHD IPS - i5-8250U Kaby Lake Refresh - 8GB DDR4 - 256GB SSD - Intel UHD 620 - Windows10 Pro - 1 Year PickUp Warranty - 1.46Kg. Lenovo - 20M5000VIV - ThinkPad L380 - 13.3 Inch FullHD IPS - i7-8550U Kaby Lake Refresh - 8GB DDR4 - 256GB SSD M.2 PCIe NVMe Opal2 - Intel UHD 620 - Windows10 Pro - 1 Year PickUp Warranty - 1.46Kg. Lenovo - 20KN002WIV - ThinkPad E480 - 14 Inch FUllHD IPS - I7-8550U Kaby Lake Refresh - 8GB DDR4 - 1TB HDD 5400RPM + 256GB SSD M.2 PCIe NVMe Opal2 - Radeon RX 550 2GB - Windows10 Pro - 1 Year PickUp Warranty - Silver - 1.75Kg. Lenovo - 20KN0062IV - ThinkPad E480 - 14 Inch FUllHD IPS - I7-8550U Kaby Lake Refresh - 16GB DDR4 - 1TB HDD 5400RPM + 256GB SSD M.2 PCIe NVMe Opal2 - Radeon RX 550 2GB - Windows10 Pro - 1 Year PickUp Warranty - Silver - 1.75Kg. Lenovo - 20KN0062IV-3Y - ThinkPad E480 - 14 Inch FUllHD IPS - I7-8550U Kaby Lake Refresh - 16GB DDR4 - 1TB HDD 5400RPM + 256GB SSD M.2 PCIe NVMe Opal2 - Radeon RX 550 2GB - Windows10 Pro - 3 Years OnSite Warranty - Silver - 1.75Kg. Lenovo - 20LS0016IV - ThinkPad L480 - 14 Inch FullHD IPS - i7-8550U Kaby Lake Refresh - 8GB DDR4 - 256GB SSD M.2 - Intel UHD 620 - Windows10 Pro - 1 Year PickUp Warranty - 1.46Kg. Lenovo - 20M7001BIV - ThinkPad YOGA L380 - 13.3 Inch FullHD IPS Touch - i5-8250U Kaby Lake Refresh - 8GB DDR4 - 256GB SSD PCIe NVMe - Intel UHD 620 - FPR - LKB - Windows10 Pro - 1 Year PickUp Warranty - 1.56Kg. Lenovo - 20M7001GIV - ThinkPad YOGA L380 - 13.3 Inch FullHD IPS - i5-8250U Kaby Lake Refresh - 8GB DDR4 - 512GB SSD M.2 - Intel UHD 620 - Windows10 Pro - 1 Year PickUp Warranty - 1.56Kg. Lenovo - 20M7001JIV - ThinkPad YOGA L380 - 13.3 Inch FullHD IPS Touch - I7-8550U Kaby Lake Refresh - 8GB DDR4 - 512GB SSD PCIe NVMe - Intel UHD 620 - FPR - LKB - Windows10 Pro - 1 Year PickUp Warranty - 1.56Kg. 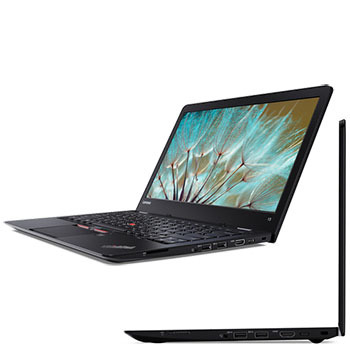 Lenovo - 20LH000NIV - ThinkPad YOGA X380 - 13.3 Inch FullHD IPS Touch - I5-8250U Kaby Lake Refresh - 8GB DDR4 - 256GB SSD PCIe NVMe - Intel UHD 620 - FPR - LKB - Windows10 Pro - 1 Year PickUp Warranty - 1.43Kg. Lenovo - 20L9001YIV - Thinkpad T580 - 15.6 Inch FullHD IPS - Core i5-8250U - 8GB 2400Mhz - 256GB SSD M.2 PCIe NVMe - Windows10 Pro 64 - 6 Cell - FPR - 3 Years OnSite Warranty - Black - 2.67Kg.